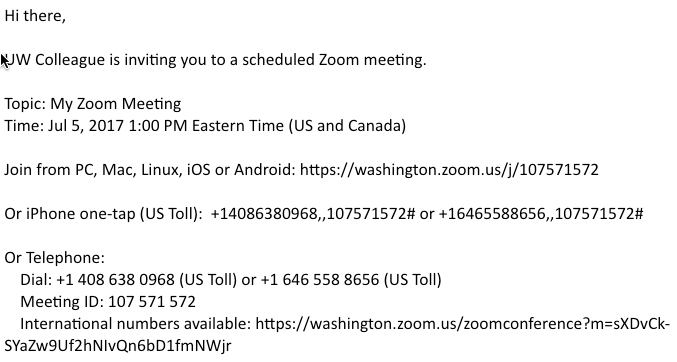 These steps show you how to schedule a meeting using the Zoom software interface. After logging in to UW Zoom, bring up the Zoom home screen. On the right, click Schedule. Enter the required information in the dialog box, then click Schedule. Back on the Zoom home screen, at the bottom, click Meetings. To send an invitation to the meeting, hover above the meeting that you just created and click Copy. 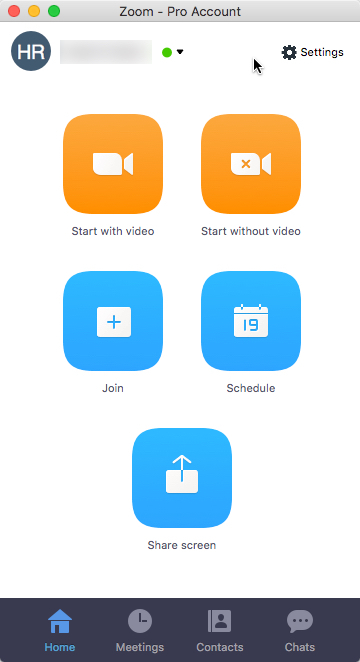 To start the meeting, from the Zoom home screen, click Meetings, then click Start. 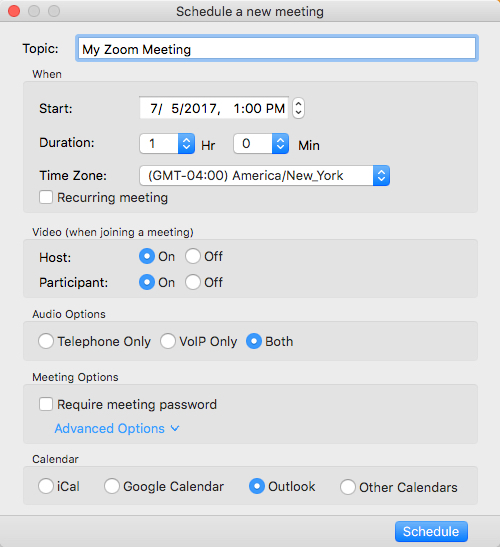 Learn more about hosting a Zoom meeting.